A couple of weeks back I was fortunate enough to travel to Iceland to undertake a dive which every list places in the top 3 cold water diving sites in the world. Silfra (Icelandic for ‘Silver Lady’ – due to the silver quality of the light/water) was truly amazing, and I’ll post some images from the dive starting later tonight. We arrived during the evening so set out in the bracing (-4 degrees celsius) cold and wind of Reykjavik to have a look around and find some dinner. 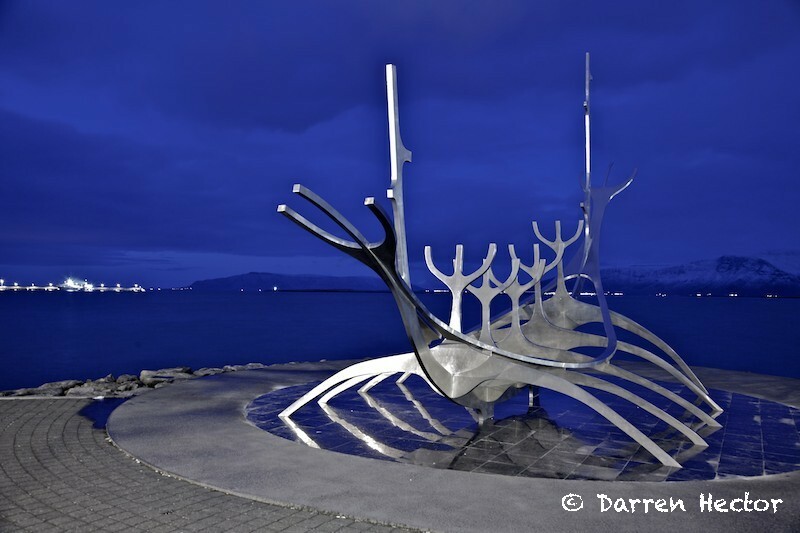 We visited Sólfar, by Jón Gunnar Árnason which represents vikings arriving in longboats. 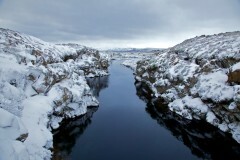 It’s quite a famous work in Reykjavik – one of the locals described it to me as the most photographed site in Iceland! As you can probably tell from the over-saturated colour this was a long exposure taken in near total darkness. It was a fitting start to our trip, and likewise a good place to start telling you of the wonders which were to follow. Posted on Wednesday, February 16th, 2011 at 3:26 pm. Filed under: Landscapes Tags: EuroFifty, Europe, Iceland, long exposure, Reykjavik, ships, Silfra, Silver Lady, Sólfar, vikings	RSS 2.0 feed.